We created Big Box Coaching to inspire others in leading a balanced and fulfilled life. We focus everyday on delivering that promise. Tony has been coaching executives and teams for over 28 years. As a professional leader, Tony coaches executives and leaders on inspiring others to reach their full potential. Michael has been coaching businesses and teams for over 24 years. As a professional leader, Michael inspires business leaders to achieve their best and take their business to the next level. Troy has been coaching people for over 31 years. As an expert life coach, Troy inspires individuals to achieve thier best and maintain balance in their lives. We established Big Box Coaching because we wanted to create a different kind of coaching business. It is our goal to go beyond inspirational words and cookie-cutter development plans. We want to develop customized journeys to inspire our clients to inspire others. The world is rapidly changing and with it comes new challenges every single day. People are being asked to deal with more, faster and with greater ambiguity. Coaches must offer more and become partners to help their clients solve complex problems and daily challenges. It is our goal to go beyond the coaching of the past and develop a new generation of coaching. We want to inspire action, strategies and together develop your personal success story. 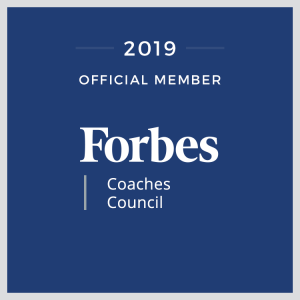 Established by veteran coaches with decades of real-world experience Big Box Coaching brings the experience you need to be successful. If you want to improve skills, break into a new leadership position, get through a difficult patch or just hone your techniques we are here for you. With our team of leadership coaches, we can provide services to any business in any industry, worldwide. We specialize in daily coaching interactions through, discussion, observation, and shadowing. Who, exactly, seeks out a coach?...Winners who want even more out of life. If you have any questions or would like to set up a consultation please reach out to us. Use the information to the right, contact us at inquiries@bigboxcoaching.com, or use the form below to contact one of our specialists. We don’t believe in “selling” our services but rather partnering with clients to form long-lasting relationships. Engaging our services is a hassle-free mutual decision. Our services can be customized to meet your specific needs. If we can be of service reach out to let us know your needs. We will do our best to create a customized plan to achieve your goals.